There were some crazy transitions between fall and winter in the Canadian Rockies when I visited. The start of October brought early snow to the Rockies. What was left was a really cool transition between fall and winter in most spots. 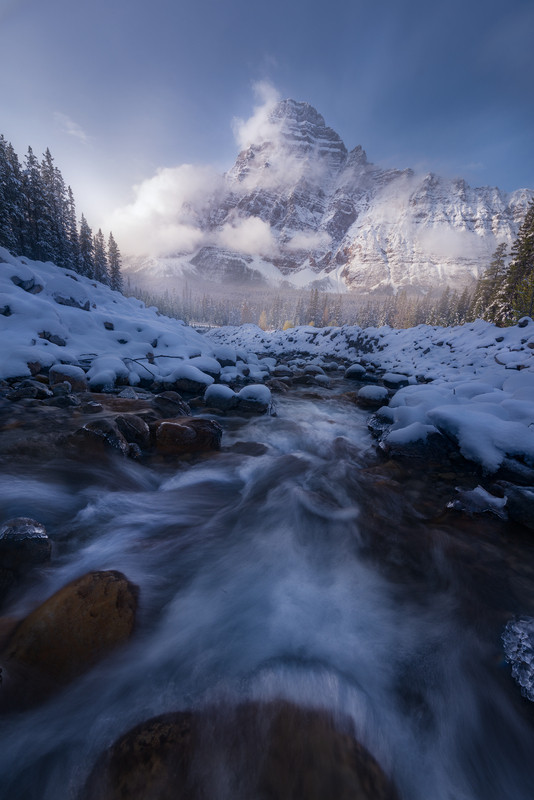 This particular spot by Waterfowl Lakes had quite a few inches of snow, while the town center of Banff really was snow free. Quite amazing.